Yikes. You're review is pretty different the one I did in October. I say "don't pass on this game!" haha. lol, I wanted to give this game a good review. I wanted to give the thumbs up. But I couldn't. The game just suffers because of the sheer brutality of the platforming pieces. Not to mention Christopher moves like a friggin' zombie! I love hearing conflicting perspectives like this on games. They are so subjective that its great to get as many different opinions as possible when making a purchase decision. Any opinions on the WiiWare remake? Even better is that it seems like Sunset didn't know Noise had done a review. oops posted last one on accident. Which means you get 2 completely unique reviews as opposed the the second one almost being a rebuttal. lol. 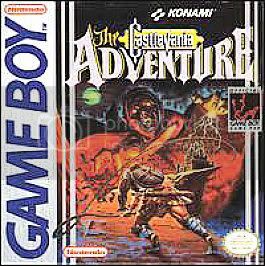 Its funny but the next game I want to get on the Wii Virtual Console is Castlevania adventure rebirth. If no one else posts up a review I'll do one for sure.